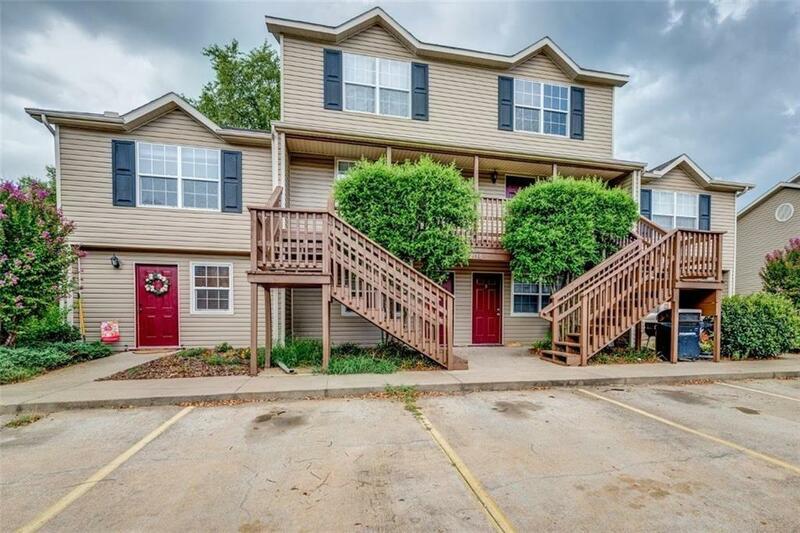 Fantastic location only 1 mile to University of Arkansas campus!Shopping,parks trails and restaurants. POA includes a community pool, exterior maintenance of roof,yard,grounds keeping,snow removal and water. This unit would be great for parents looking for a place for kids to go to the U of A or a investment rental property. Hard to find units in a good location at this price with 2 bedrooms and 2 full baths.